Scarlet Snow, the star-studded guest list, and the fabulous gowns! 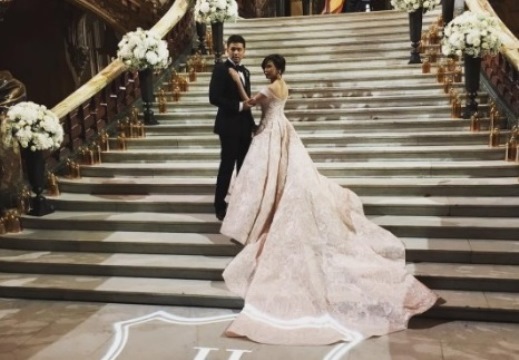 (SPOT.ph) Congratulations are in order for Vicki Belo and Hayden Kho, who tied the knot on September 2, in what is arguably the biggest and most grandiose celebrity wedding of the year. The star-studded affair took place at the The American Church in Paris, France. Wedding preps! Our Belo bride is sooooo beautiful ???????????????? #akhoandmybeloved @victoria_belo Make-up: @juansarte ???? Hair: @junar.santos ???????? The Dantes family with Tim Yap. They're excited it's finally happening!